The world-famous statue of the Fearless Girl could have been a statue of a younger me. The statue was placed in front of the Charging Bull sculpture in Lower Manhattan just before International Women’s Day in 2017. Given the timing of the installation of Fearless Girl, the statue seemed a power statement about gender equality in the traditionally-male financial industry. Turns out, it wasn't that simple. International Women’s Day (IWD) has a long history, starting in 1909. According to the United Nations website, it was started to honor the 1908 garment workers' strike in New York City. Over time, the focus of IWD has shifted to adapt to the changing roles of women. Every year, International Women’s Day adopts a different theme to shine focus on women’s needs across the globe. This year, International Women's Day is on Friday, March 8th and the theme is “Think Equal, Build Smart, Innovate for Change”. The rising popularity around IWD, including ad campaigns from companies like Walmart, has me thinking about the ways in which the promotion of equality for women does — and does not — translate into change for real-life women in the workplace. I went to an all-girls school for 13 years. As a student, I was confident, proud, and just a bit defiant. How could I not be? 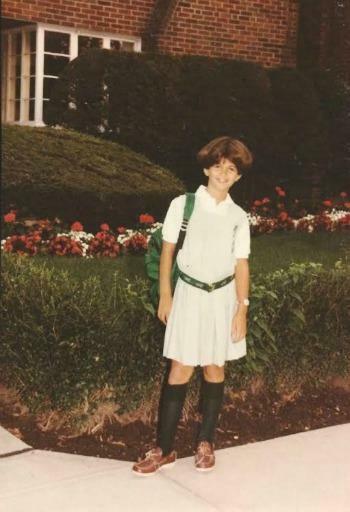 From the time I was four, I was taught girls could — and should — do everything. Our goal, as it was presented to us in the form of GenX-female-empowerment/ third-wave-feminism, was to grow up to be the women who “had it all and did it all.” Each girl in my class was some combination of smart, artistic, passionate, and driven. We were taught to “lean in” during middle school. I thrived in an environment that rewarded effort and encouraged me to say anything I wanted, as long as I could back it up with research and facts. No one tried to stifle me, in fact, I was expected to be my best, truest self at a very early age. After graduation, I went to a large, co-ed state university. My time there was, in most ways, unremarkable. I had good friends, I dated, and after the first day of class, I got over my fear of a classroom with boys in it and claimed a seat in the front row. I also worked more than one job each semester, mostly for male bosses, all of whom told me I’d go far. I didn’t realize until I was in my thirties where this was headed. “Having it all” was one thing, “doing it all” was another. Not only was I going to have to make the hard choices women in the workplace have to make every single day, but they were choices the men on my career path didn’t have to make. Society loves feisty girls … but the women we turn into are a different matter. In my early thirties, I was living in LA and had a job I loved. At certain points during the year, it required me to be at the office for long hours, but the work was interesting and I was helping people. But my relationship to my job changed when I got pregnant. At my 38-week check up, my midwife ordered me to take immediate maternity leave. I told her I couldn’t possibly leave work before completing a project that was due the following week. She told me I couldn’t possibly not leave work that day. All of a sudden, the life growing inside of me had to be my primary concern, and my stellar education had done nothing to prepare me for that. Things remained complicated when I returned to work. My daughter wasn’t sleeping and neither was I. She cried a lot, and so did I, often at work. My very kind boss (a father of four) expressed concern not only for my work, but more importantly for my health and well-being. I appreciated that, and while there was a lot to navigate, I assured him I had everything under control. I didn't — but eventually, I would. I was a nursing, pumping, sleep-deprived mom, but I was supported by increasingly progressive laws (thanks ACA!). Shortly after my daughter turned one, I took a trip to visit my all-girls school where I spoke with a former teacher who had never had kids. As my daughter toddled between us, I told my teacher I found it difficult to manage my career aspirations and being a mom. I asked if anything could be added to the curriculum to help the students understand the choices they would have to make later in life. She was remarkably unsympathetic, sharing with me that her niece was a partner at a top tier law firm in a major city. Of course, she had to make choices, like someone else picking up her kid from daycare, but, she told me, her niece had never complained about it once. I don’t know this teacher’s niece, but I know countless working moms who have cut back their work hours to be with their children or hired additional help so that they could work longer hours. These are never easy decisions, even if we don’t complain about them. Budig also found that men’s salaries rose more than 6 percent when they became fathers, while women’s earnings decreased 4 percent for every child they had. But it wasn’t just the decisions I had to make as a working mom that caught me off guard. The problem with being raised to speak your mind in a challenging-but-fair environment is that the working world is frequently more challenging and less fair, especially for women. The need for likability in the workplace may seem obvious to those educated in co-ed schools, but I wasn’t prepared for what I would be asked to sacrifice in order to be liked. Back on the east coast, with kids finally out of diapers, I was in another job I loved. But it was in that job I was labeled a “problem employee.” I had never been anyone’s problem anything. It turns out, the real world requires more than hard work — it requires you to make that hard work look easy, and, if you're a woman, to smile while you do it. A few years in, I wasn’t fairing well under a new boss who either didn’t know how to run standard reports, or was purposefully manipulating them. When asked why he couldn’t present our department’s data the way he wanted to, I replied, “Because that’s not how math works!” I was smiling at the time, but apparently, I was smiling for the wrong reason. His boss was equally problematic. He willfully confused correlation with causation to push through a decision that fundamentality changed my department’s mandate and set us up for failure. All of that was bad, but it was the moment I was told to “smile” that pushed me out the door. In that workplace I had two roles — one was forward-facing with high customer contact and the other involved spreadsheets. I loved both roles and did well at each. I received uniformly positive reviews from the customers and had a history of positive performance reviews. But, as it turned out, my acumen wasn’t enough because I didn’t smile while I was squinting at rows and rows of data that needed to be cleaned, scrubbed and formatted just-so. At the end of a relatively good feedback session with my new boss, he asked me if there was anything I needed from him. I told him if he wanted to seem less sexist, he could stop telling me to smile. He went to HR and told them I had accused him of sexual harassment. The idea that no one in the organization seemed to understand the difference between sexism and sexual harassment was just one reason I knew I had to leave. Rather than stay in a job where I had been undermined and undervalued, I left a career that I loved, took a 35% pay cut, and found work at an organization that appreciates me. But that change meant I had to step off a career ladder I was imminently qualified to climb. I didn’t expect that being an educated, outspoken woman would disqualify me from my chosen career — one I had studied for, have an advanced degree in, and more than 15 years experience. Sadly, I know I’m not alone. When Fearless Girl was originally unveiled in 2017, people flocked to Lower Manhattan to take their picture standing next to her, mimicking her defiant stance. It was a celebratory moment. She was said to promote inclusion for women in hiring practices in the financial fields, but it was later learned that the firm that paid for the work of art was accused of wage discrimination by its female and otherwise marginalized employees. The firm reportedly settled the suit for $5 million. Holding up symbolic girls at the literal expense of real women is unconscionable, but not uncommon. In fact, it exactly mirrors my experience moving from an all-girls educational setting to the co-ed work world. I have nothing but love for all-girls education. I just wish the rest of the world would take a cue from its focus on even-handed meritocracy and begin rewarding women’s hard work — regardless of whether she smiles while she does it.